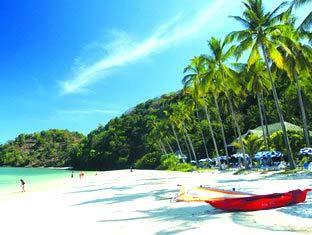 Cape Panwa is a favourite quiet corner of Phuket. Despite being home to the Phuket Aquarium and Marine Biological Centre, not many visitors head down to the far SE corner of Phuket. It's a bit of a drive from the main beaches, but if you have time and can rent a car or bike, it's a nice area to explore - lots of backroads. In this area you can also find Khao Kad viewpoint. Panwa is a quiet, mostly muslim area. The main road from town to the cape is well kept and pleasantly rolling, and there are many side roads worth following for the views. There is also a smaller road which runs along the west side of the cape, on the east side of Chalong Bay. Right at the end of the road, near the aquarium, take a left up a hill (and down again) and you can find the Cape Panwa Hotel. 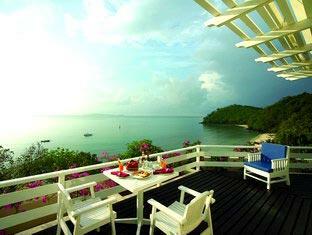 A great little hideaway, right on the beach and away from all the crowds on Phuket's main beaches. With all the facilities the hotel has you hardly need to leave. There are no less than 5 different restaurants and 5 bars! 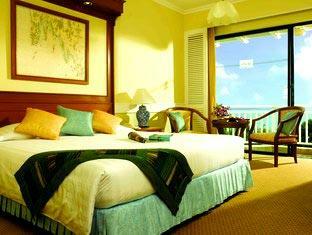 You're about 15 minutes drive from Phuket town, but note that its a good hour or maybe more to the airport, which is up in the north of Phuket. 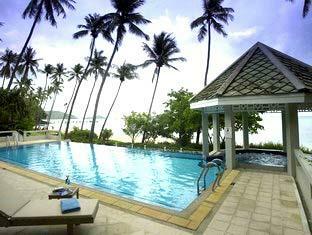 Cape Panwa Hotel was one of the Top 10 Hotels in Phuket that I listed on this blog in 2008.